Fan of sports anime? Not sure about which sports anime to watch? Don’t worry, Here is the list of top 10 best sports anime that you must watch in your lifetime which will make your heartthrob and have goosebumps all over your body because of super exciting epic moments. So without wasting any time let’s get started. Other Names:ワンナウツ; ONE OUTS Nobody wins, but I! Do you like a badass character? or super intense situation? If yes, then this might just be your type of anime. 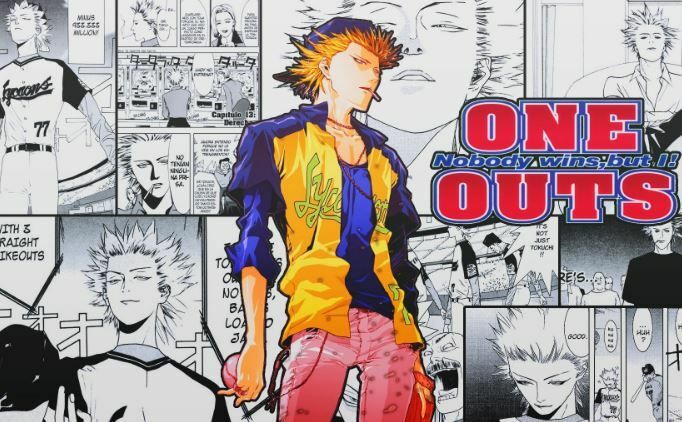 One Outs is not like your typical sports anime where they go through trials and error, tribulations and other stuff like “never give up” cliche, rather this anime is about battle of wits, psychological and intense situation which will blow your mind and make your heart go Doki Doki. Toua Tokuchi plays baseball as a profession but he is a gambler at heart who knows how to read other person minds and what makes him truly devious is that he knows how to exploit the weakness and get an edge over other players. One day he lost the bet against Hiromichi Kojima where the bet was to join the team if he loses. Hiromichi Kojima was scouting players at that time and when he saw the genius pitcher Tokuchi he made up his mind to hire him. However, the owner Tsuneo Saikawa, sees Tokuchi as a threat to income generated by the team to which Tokuchi suggested a special “one outs” contract: Every out Toua pitches will earn him five million yen, but with every run, he gives up, he will lose fifty million yen. So now Tokuchi not only has to defeat the opponents but have to keep the owner in check too as he always tries to make his life difficult so that he could more money out of Tokuchi. This intense anime easily makes it to the list of best sports anime to check out. 76 episodes? Feels like it’s too long? Don’t worry, I can guarantee that after watching a few episodes you will be hooked to this anime and will not even hesitate to watch the other 2 seasons. You will shout, hold your breath and jump right out of the seat. Yes, it’s that great! Super Intense battles? Stupid jokes that will make you grin? Drama? Best character development? Hajime no Ippo got it all perfectly balanced. The main protagonist Makunouchi Ippo who has been bullied for his entire life always hoped to change himself but never had the passion to act upon it. 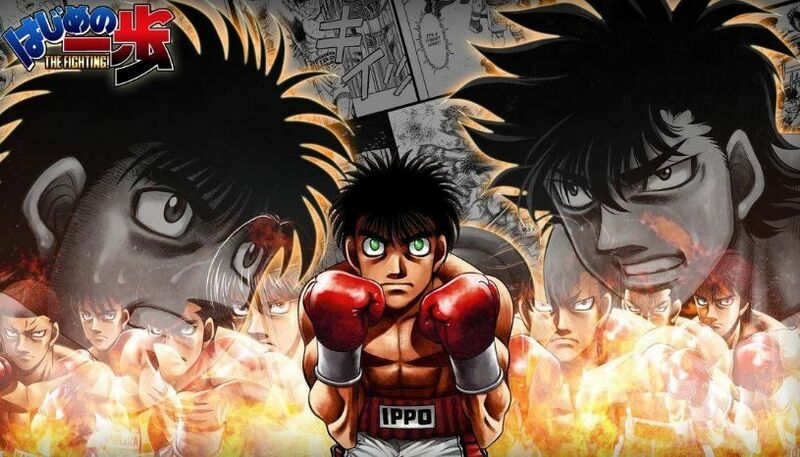 One day when Ippo was getting bullied he was saved by Takamura Mamoru, who happens to be a boxer. And this was the turning point of Ippo’s life and after few tests and hurdles, Ippo’s journey in the world of boxing began. Personally, I am not a fan of Sumo and before watching this anime I was like, it will be not that good it’s just sumo but boy oh boy I was so wrong. The quality of animation, epic soundtracks, intense fights, and characters are so good that you will definitely fall in love with this anime. You will feel like you grew muscles just by watching this. Yep, it’s that manly! Ushio Hinomaru whose goal was to reach the highest rank in professional sumo Hinoshita Kaisan! appeared before the little sumo club of Oodachi High School. This story is about how this little guy and the sumo club climbed the way to the top. This kind of sports anime is a little difficult with enticing the audience as compared to sports anime like Kuroko no basket and Haikyuu. Sakamichi Onoda is an otaku who is eager to join the anime club so that he can make friends with people of same interest but unfortunately the anime club has been disbanded. That’s when he decided to revive the anime club by himself and so he begins to look for students who are interested in joining the anime club but not everything goes smoothly and without much luck, he went to Akihabara to make a round trip of 90 Kilometers(56 miles approx.) on his old bulky bicycle. During this trip, Onoda meets a fellow first-year Shunsuke Imaizumi who was using the steep incline for practice. Surprised by Onoda’s ability to climb the hill Inaizumi challenges him to a race and should he win he will join anime club. Thus, begins the journey of Onoda in the bicycle world. Usually, in sports anime, you see the main protagonist being a weakling and after through hard work and overcoming various obstacles the main character becomes strong. 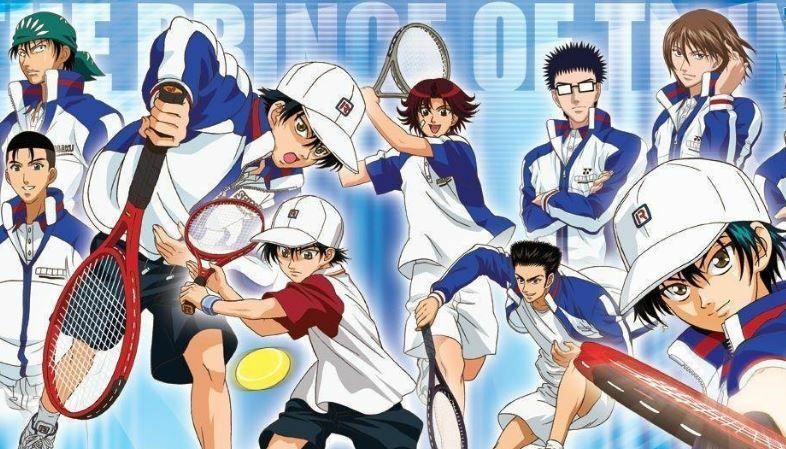 But not in this anime, The main character Echizen Ryoma is a super talented young prodigy who has won 4 consecutive tennis championships but that’s not his goal. He wants to defeat his father a former pro tennis player as well as himself. He joins Seishun Gakuen junior high school, one of the best tennis schools in Japan, and there along with his team-mates, he learns to find his own type of tennis. Other Names: All Out!! ; オールアウト!! 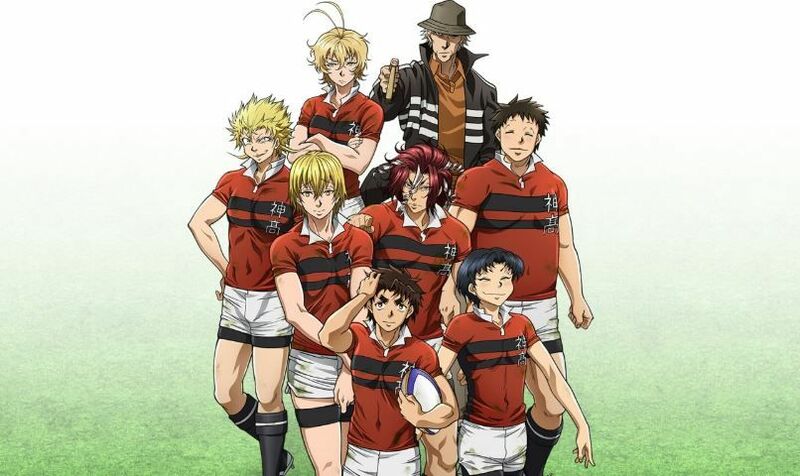 Many different types of sports anime have been appearing in the last decade, from basketball to cycling to sumo however All Out is the first sports anime in the rugby field and I have to say it’s very good. What makes this anime so good is not the plot, as it’s not something very original. It has the same plot as other anime where they grow strong along with other teammates and ultimately wins but what makes this anime so good are the character development and the animation style. Kenji Gion being a noob joins the rugby club with his classmate Iwashimizu who has complicated past and totally opposite personality than Gion. So now they have to become strong together with the whole team while tackling all the problems. 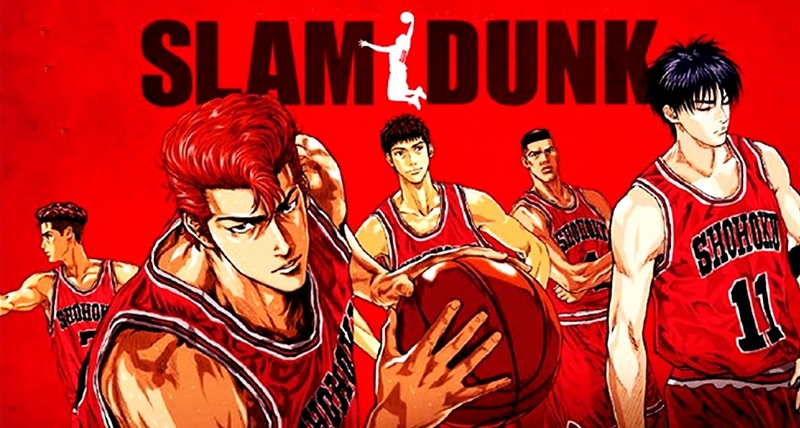 Slam Dunk is considered a pioneer of sports anime. It has almost everything. Action, comedy, tragedy, romantic tensions, manly moments, etc., it’s a masterpiece from the 90s. Many of the references are taken from original NBA basketball players so it’s more realistic than anime like Kuroko no Basket which is another plus point. Hanamachi Sakuragi is a hot-headed, short-tempered guy and gets into fights consistently. However, one thing that he loves more than the fights are girls. He holds a record for being rejected 50 times in middle school. Although he was rejected quite a lot, Hanamachi enrolled in Shohoku High and is hoping to meet the girl of his dreams there. However, he is infamous status quickly gets everyone to start avoiding him, including girls. One day, a girl named Haruko Akagi approaches him. When the two meet, the girl asks him if he likes playing basketball to which he responded with yes even though he hates basketball, unknowingly changing his own future for good. Through certain events, with the girl being the major influence, Hanamachi soon finds himself playing basketball. Before watching this anime I had no idea regarding baseball rules and various other things because I used to think of baseball as a very boring sport but after watching Diamond no Ace my opinion has completely changed about it. The practice that the characters do in this anime is actually realistic which makes it even better. The story follows Eijun Sawamura, A pitcher that lost his final game in middle school. However, his determination does not waver and one day a scout from Tokyo invites him to a prestigious school after realizing his potential. Claiming that he will one day be the ace of the team, he trains very hard and battles many other talented players for the starting position. Now their team strides towards being the top and so faces many dangerous foes all while getting stronger and stronger. If you are looking for a realistic anime game plays then this might not be to your liking but if not, then you have got to watch this. With flashy moves, incredible dribbling, shooting, passing skills etc this anime very interesting and a must watch under the best sports anime list. 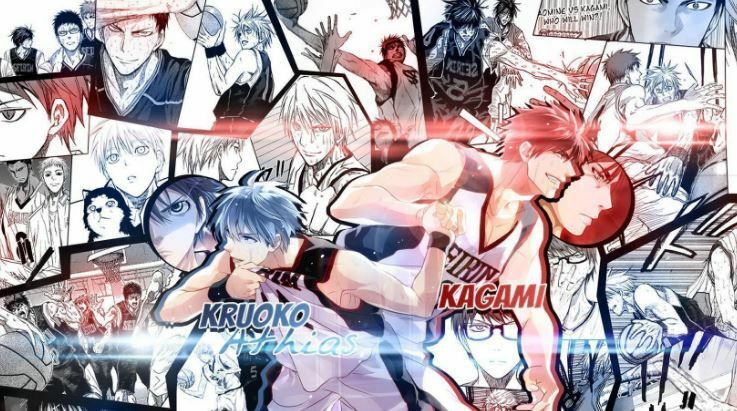 The story follows with Kagami Taiga and Kuroko Tetsuya who has just enrolled into Seirin High School. Taiga is a well built tall guy, while on the other hand, Kuroko is short, weak and can’t even shoot properly. However, soon the Coach of Seiren notices that Kuroko is actually the 6th phantom member of the generation of miracles. Generation of Miracles consists of 5 prodigies. Along with Kuroko they have won three consecutive champions with overwhelming victories at Teiko Junior High. After Junior High, they made a promise to each other that they will all go to separate schools and compete to see who is the best one. Due to this, Kuroko’s passion lies in beating them, however, he can not do it alone so Kuroko asks Kagami to be his light and he will support him for the shadow, as every shadow needs a light. Also, Check out: Ace of Diamond anime third season rumor, the anime will continue? Other Names: High Kyuu!! ; ハイキュー!! ; Haikyu!! After binge-watching Kuroko No Basket, I was thirsty for more. Since season 3 was yet to come out at that time so I started to search for similar anime like Kuroko No Basket. And Haikyuu was on top of the list. The story could be boiled to a pretty typical shounen stereotype. It contains an underdog, teamwork, perseverance, etc. 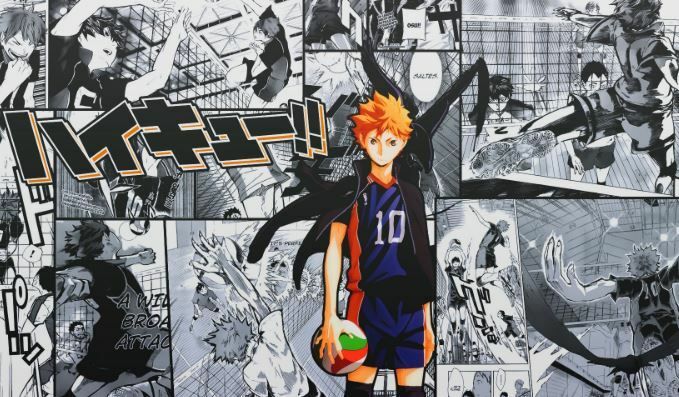 However, in my opinion, Haikyuu!! integrates these themes incredibly well. There have been multiple scenes where I got goosebumps and I have cried many times as well. As for artwork and animation, Production I.G. did a wonderful job putting together great visual work. This story is about how Shouyou Hinata, a hot-blooded youth with short stature takes on Tobio Kageyama the “King of Court,” and to become the best duo and make their high school volleyball team the best in Japan. 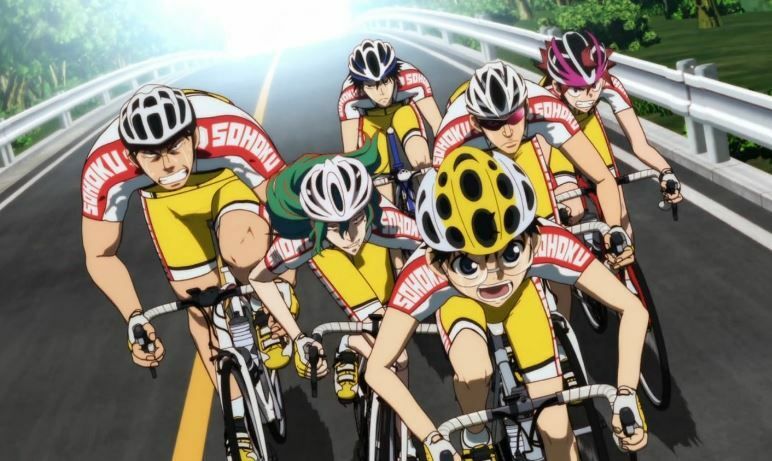 The best sports anime list is simply not complete without this anime. With this, we have come to the end of the list of best sports anime. I hope that you have found this list useful. Do let us know if you have seen any of these anime previously. Also, feel free to suggest us your recommended series in the comments below.